Published by TwoMorrows Publishing eight times per year, Back Issue celebrates comic books of the 1970s, 1980s, and today through a variety of recurring (and rotating) departments. That unassuming description from the TwoMorrows website hardly comes close to the level of awesome of this magazine. Recently changed at issue #52 to 84 pages of full color in a nice square-bound format, Back Issue is filled with lengthy articles about comic book characters, creators and events, not to mention tons of original art, unpublished pencil sketches and the occasional commission piece. Alpha Flight appears in this issue in one of those commission pieces, but under dubious circumstances. In an article “Phoenix Rising” by Jim Ford, the entirety of the Dark Phoenix Saga, a story found at or near the top of nearly every “best X-Men story” list on the Internet, is told in great detail, along with several rare and unusual images of Jean Grey. A few of these are Byrne commissions, and one of them is quite an odd choice: a montage of X-Men characters commissioned back in 2010. Yes, Jean Grey is in the image but is so small and among so many other characters that it’s rather puzzling why this image was chosen in a Dark Phoenix Saga article. More information about the original commission piece, and some interesting Alpha Flight tidbits, can be found at the official John Byrne website. The owner of the original commission piece is the extremely talented Nathan Greno, director of the Disney movie Tangled, and John Byrne fan extraordinaire. 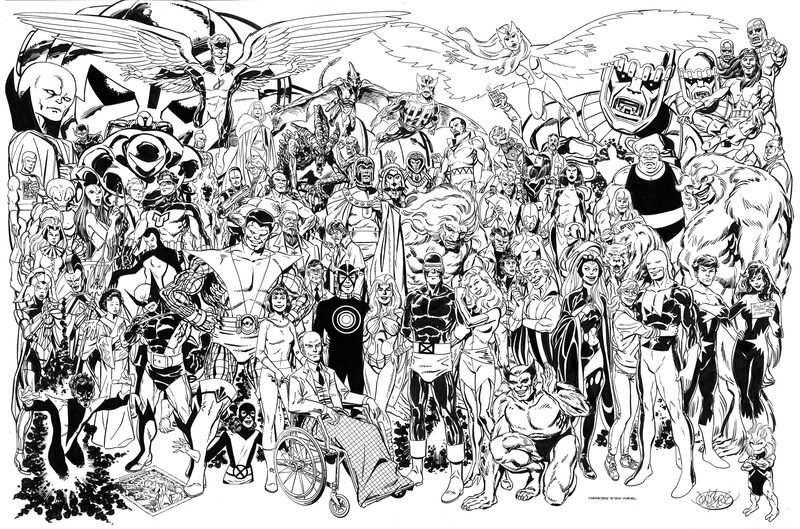 An amateur colorist decided to download a scan of the commission, freely available at John Byrne’s website, colored it, and posted it online, which TwoMorrows then lifted, crediting it only as “artist John Byrne’s drawing of the X-Men cast of his legendary tenure.” The original commission piece from 2010 is shown below. Joe, our sincere apologies for that goof. We juggle so many images and image sources that occasionally an error like this occurs. Thanks for understanding-and for your art contribution. The most likely explanation for the lack of apology to Nathan is that TwoMorrows was never contacted and informed of the error, but it’s still odd for them to have published the colored version of the piece without properly crediting it. He’s the best at what he does… and what he does is imperceptibly tiny. Similar to the What If? #200 issue that came out of the other end of the re-numbering craze to arbitrarily re-start a comic book series at a very high number (as opposed to the re-numbering craze where you start over at #1 every 4-5 months), Wolverine #300 is arguably around the 300th issue or so of the various Wolverine series, give or take a few issues. This oversize issue contains a seven-part story and a preview of Jeph Loeb’s Sabretooth Returns, along with three pages of character designs and four pages of tiny cover thumbnails of the 300 issues arranged in a tight array, including many, many variants. Alpha Flight Collector is very much impressed with the kind of painstaking indexing work required to create such an array, and is thrilled to find many Alpha Flight characters on those covers! Note that we still aren’t sure which Mac is on the cover of Wolverine #142 and #143, but I think it’s Mac’s Synth clone. Note: there is a cover variant by Geof Darrow, one by Jim Cheung, a blank variant and a second printing sketch variant of Adam Kubert’s original cover. What had been a free promo introducing the Siege storyline earlier in the year is expanded with additional material and is no longer free. The Siege prologue and preview material was dropped, and the number of character/team origins was expanded from 12 to 36. The format of this one-shot is 35pp of single page character origins, nearly all of which are written by Fred van Lente with the exception of four, and one double-page Power Pack origin. Mac and Heather appear in the 1-page Wolverine origin. For those of you keeping track, this is a direct reprint of the same material originally published in Origins of Siege #1 but here’s the image again for your enjoyment. Art by Mike Choi and Sonia Oback. Alpha Flight is ALL WRONG on FUNday! 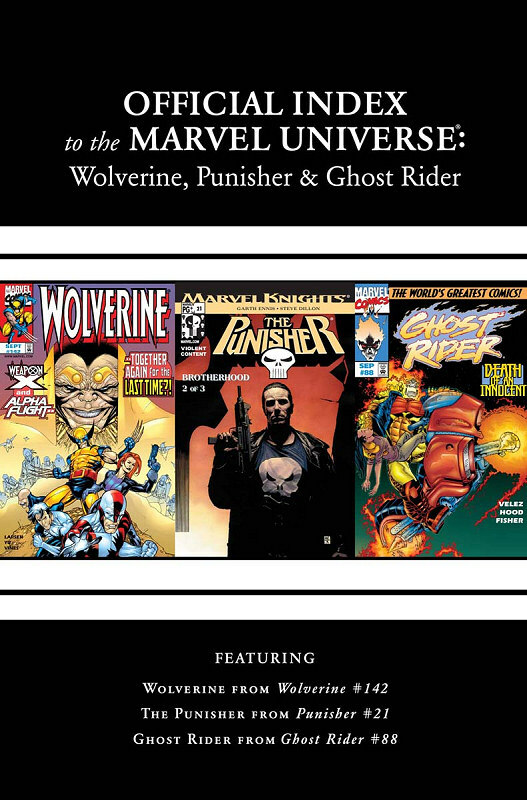 Marvel Age was a monthly series featuring previews of upcoming comics, news articles about various subjects, advertisements, humorous pieces, and the occasional interview with creators and Marvel staff. Long removed from the Internet age, it was a great way (sometimes the ONLY way) to get news about what was going on in the world of Marvel Comics. Cartoon Box, Shaman (as Talisman), Heather, Northstar, Snowbird and Puck appear in this issue on the back cover. ALPHA FLIGHT #56 – What could be worse than Box going insane? How about Box going insane while he’s as big as a space ship – and his teammates are aboard?! “Warped ” is written by Bill Mantlo and penciled by Jim Lee. Direct Sales only. $1.00. Alpha Flight had switched over completely to the Direct Sales distribution method in issue #52, meaning it would not be found on newsstands, but sold only in comics specialty shops. Direct Sales proved more profitable for certain books than others because they could not be returned by retailers for credit. Publishers were freed from the risk of unsold copies, which would be kept by the comic shops as back issues, and could pass that savings on to the Direct Sales outlets by offering a greater discount than Independent Distributors would get. Box – Mister Jeffries took over the “Blue” Box armor from Roger Bochs (who died in issue #49) in issue #46, and would transmorph it into the dark red/silver armor in issue #49 (although it debuted on the cover of issue #48). Showing “Blue” Box makes no sense as neither Roger nor Jeffries were using that armor at the time. If it’s from the past, it’s not clear which Box is shown there. Shaman – Michael had left Alpha Flight in issue #45 and disappeared off this Earthly plane, not to return until the Dreamqueen issues much later. He was known as Talisman at the time, of course. Heather Hudson – Heather put on the E-M suit in issue #32 and would keep it on as Vindicator. It wouldn’t make sense to show her out of costume. One possibility is that there’s a coloring error and that sections of her all-white clothing ought to have been colored red, but even then, it’s yet another error. Northstar – Jean-Paul had been tricked by Loki to visit Alfheim, the Land of the Elves in issue #50. He wasn’t around at all during issue #55. Puck – Judd had left Alpha Flight for Tibet in issue #50 as well. But that’s not even what’s so wrong about the image: at the time, Puck was tall!!! He returned to his full height in that issue. You gotta love the little head poking up from the panel border, though, heh. Snowbird – Killed by Heather in issue #44. Dead. At no point had this particular assembly of Alpha Flight members existed simultaneously. Credits for the calendar are w-Mike Carlin, a-Ron Zalme and c-Paul Becton, all of whom are excused for not keeping track of Alpha Flight’s members because no one could keep track of all the changes Mantlo had made to the team between issues #29 and #55. Unless you’re an Alpha Flight Collector! This free promo comic contains 32pp of a mixture of prologue material, preview material from Siege #1 and 12 single pages of character origins, all related to the upcoming Siege crossover, Marvel’s big 2010 company-wide event. The 12 pages of character origins are all written by Fred van Lente and are drawn by 12 different artists. These origin pages are very nicely done, seeing as how difficult it is to cram an entire origin into a single page for most characters. On Wolverine’s page, Mac and Heather appear in a single panel in flashback to the “honeymoon in the woods” scene from Alpha Flight #33, written by Bill Mantlo. Mac and Heather aren’t identified, except as “a backpacking couple [who] discovered him and nursed him back to health – – and humanity.” But, we all know who they are despite the missing snowshoes. A nice touch from artists Mike Choi and Sonia Oback: the honeymooners have a chilly breath, a minor but charming little detail of coloring. It was nice of Fred van Lente to include Mac and Heather. He only had a single page to tell Logan’s origin, a task that seems ridiculous when you consider the extreme volume of material. He could have left out that scene completely in favor of about fifty other scenes that could be just as useful in the narrative, so this is much appreciated! Thanks, Fred! This early Dark Reign tie-in attempts to connect many dots in Wolverine’s history but leaves readers with more questions than answers. Most of the issue is flashbacks and exposition while the usually trustworthy Nick Fury and Logan share a couple of drinks at a bar and discuss the Weapon X program, Romulus and the Hudson family. Yes, the entire Hudson family, including James MacDonald Hudson and Heather Hudson, who appear in one panel. Alpha Flight also appears in flashback in one panel and Wild Child appears later as well. Nick Fury asks Logan about the name “Hudson”, setting off a series of mental flashbacks, one of which is to the “honeymoon in the woods” scene from Alpha Flight #33 where James and Heather Hudson rescue Wolverine. Another flashback is the original six member Alpha Flight team of Guardian, Sasquatch, Shaman, Snowbird, Northstar and Aurora, as Logan remembers, “One o’ my first missions for Alpha Flight was to take down the Hulk…”, a reference to his debut in Incredible Hulk #180-182. It’s not clear that Alpha Flight was a fully formed team named “Alpha Flight” at that time, but it’s possible that Logan’s chronically scrambled memory is jumbling things up a bit. It’s a nice Alpha Flight appearance nevertheless, reminiscent of a very similar panel also by Doug Braithwaite in Paradise X #4, in a very similar context, where the original team is shown in flashback to the early days when Wolverine was associated with Dept H.
This revelation is problematic because, according to what we know from Wolverine Origins #27, Mac’s father, Frederick Hudson II was born in 1960. It’s a rather difficult scenario: he would have to grow up and have a kid (Mac) who would himself grow up, get a job at Am-Can, spend 5 years creating Dept H and the E-M suit, form Alpha Flight and have it disbanded by Trudeau, who served from 1980 to 1984. Comic book time sure gets silly sometimes but really, that’s just inexplicable. Note: Mac’s own memories of his parents as shown in X-Men Unlimited #45 indicates that he was named after his grandfather on his mother’s side. Feel free to speculate exactly where the “MacDonald” comes from, unless it’s just a coincidence that his paternal grandmother and his maternal grandfather both were named MacDonald. If the entire Romulus retcon wasn’t straining credibility enough for readers of this series, the Hudson family tree revelation really jumps the shark. Especially troubling is the assertion by Fury that Romulus is a shady controller of James MacDonald Hudson’s entire life, leading to his untimely death. This would imply that Romulus was behind the formation of the Collective, which was the result of the depowerment on M-Day and therefore Romulus was behind the Scarlet Witch’s insanity… I can’t even finish this train of thought, it just can’t be possible. Nick Fury also reveals more information about Romulus, mentioning that anything that came after the Weapon X program “was an unsuccessful attempt to create the next-generation Wolverine”, along with an illustration showing Daken, Sabretooth, Deadpool and Wild Child. Assuming that the illustration goes along with Nick Fury’s speech, not just what’s popping into Wolverine’s head as he hears the words, it would imply that Romulus re-powered Wild Child after M-Day, a notion consistent with other Wild Child appearances around that time and up until his death in issue #39 of this series. No, not THAT X-Men Origins: Wolverine, the other one. 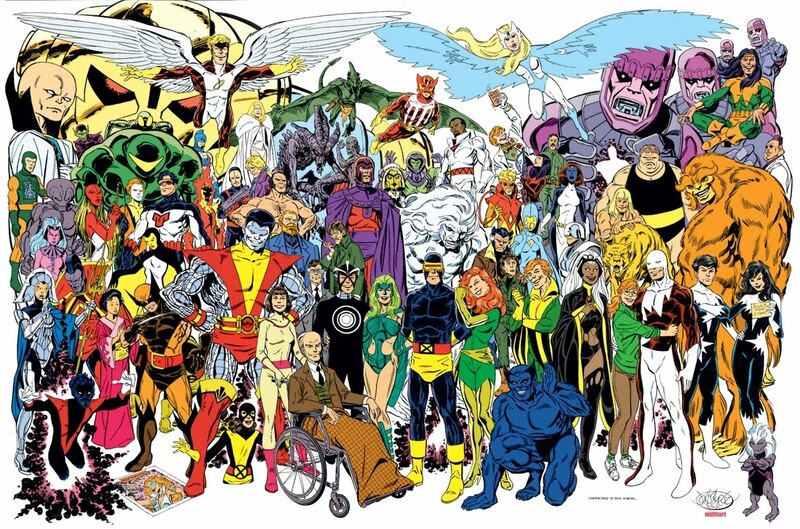 The X-Men: Origins series is an irregularly published set of one-shots focused on individual members of the X-Men. Despite having his own ongoing Wolverine Origins series, Wolverine was selected for one issue, released in a coordinated blitz of Wolverine stuff right around the time the blockbuster movie of the EXACT SAME NAME was about to hit the theaters in 2009. It tells a condensed and slightly altered version of Logan’s early life and recruitment by Professor X from a very nasty Department H. James and Heather Hudson appear in this book as friends of Wolverine in Department H and in flashback to the honeymoon rescue scene from Alpha Flight #33. Of all characters in comics, Wolverine has by far the most complex and hardest to understand origin story, to the point where he’s defined by the messiness and mystery of it all. To put out a single book chronicling what couldn’t be told in 50 issues of a standalone series (Wolverine Origins) is an impossible task and it would have been very easy to skip over the Hudsons. Central to Heather’s appearance in this issue is a new facet of Logan’s feelings for her, revealed for the first time in this issue in a very sweet and touching moment, but with a bit of retcon thrown in. During a slightly altered “honeymoon in the woods scene”, Logan shows up freshly escaped from the Weapon X facility and first comes across Heather, who instantly reminds him of his redheaded childhood friend (and first love lost), Rose, morphing into her right before Logan passes out. Heather shouts out to James, who must have been in the cabin, for assistance with Logan. Later, in a quiet scene on a Department H porch which takes place at an unspecified time afterwards, James and Heather appear to collect Wolverine to go meet the new Alpha Flight recruits. Heather again morphs into Rose during a quiet sunset conversation as she assures Logan that they’ll always be there for him and that he’s part of their family now. The Hudsons. Not nasty jerks. Part of this origin story takes place right before the events of the tie-slicing scene in Giant Size X-Men #1, but oddly, the personnel at Department H are made out to be real nasty jerks. Likely done to exaggerate Logan’s reasons for wanting to leave with Xavier so readily, it put him into quite a bad crowd of outright racists who simply hated him. After returning from what are possibly chronologically misplaced events of Incredible Hulk #180-2, a Major Chasin[sic] declares, “Hudson may want you for his pet project, but Department H took you in for one reason.” The pet project is likely Alpha Flight or the First Flight team. This would imply that Hudson was just a scientist at Dept H, not its founding member and leader. Diametrically opposed to the strangely insulting and nasty way Christ Yost wrote the rest of the Department H members, James and Heather are written with class and as a welcoming family for Logan. Their outright loving and affable care for him really shine in this issue, only matched by Mark Texeira’s flattering artwork for Heather’s beauty, a real treat. The continuity errors can easily be explained away by Wolverine’s famously faulty memory in multiple flashbacks, and quite frankly, Yost got the honeymoon in the woods scene wrong in a dear and tender way, so he gets a free pass.